Made by Gund, renowned makers of plush toys since 1898, this is the animated mother lamb that recites nursery rhymes while cradling her baby. Story time begins with a gentle squeeze of the lamb’s cuddly front paw. While a soothing lullaby plays in the background, the huggable toy recounts five childhood classics, including Jack and Jill, Humpty Dumpty, and Hickory Dickory Dock, spoken in an engaging, motherly voice. The lamb’s animated mouth and swaying torso captivate children, while the traditional rhymes introduce young learners to word sounds and story structure, key precursors to literacy. Includes three AA batteries. Her soft polyester fabric coat can be surface cleaned. Ages newborn and up. 10" H x 10" W x 9" D. (14 oz.). 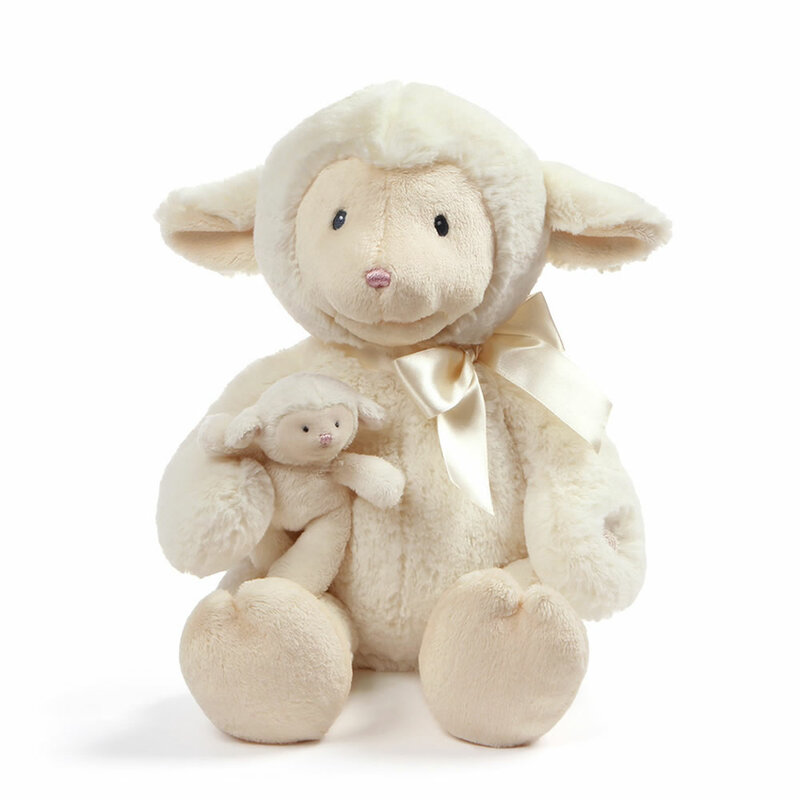 The Nursery Rhyme Reciting Lamb comes with The Hammacher Schlemmer Lifetime Guarantee. Items that we sell are guaranteed for their normal life under standard non-commercial use.